Amino acids are organic compounds used as the building blocks of proteins. And proteins are the most abundant biological macromolecules found in our cells. Nearly every process within a cell requires proteins. They are found in all cells, and have many diverse and vital roles including as enzymes, hormones, transporters, receptors, and muscle fibres. Proteins are essentially the molecular tools used to express the genetic information within cells. Though there are over 300 different amino acids in nature, cells from bacteria to humans use only 20 amino acids to make up their proteins. Each protein is made up of these amino acids linked together in different combinations and sequences (the number and order of amino acids is different for each protein), allowing for the wide diversity of proteins found in cells. The basic structure of amino acids is the same. They all have an amino group and a carboxyl group bonded to the same carbon atom, as illustrated in Figure 1 below. Each amino acid differs from the next in the attached side chain or R-group, which varies in size, structure, and electrical charge, and gives each amino acid its unique properties. Dietary proteins, e.g. 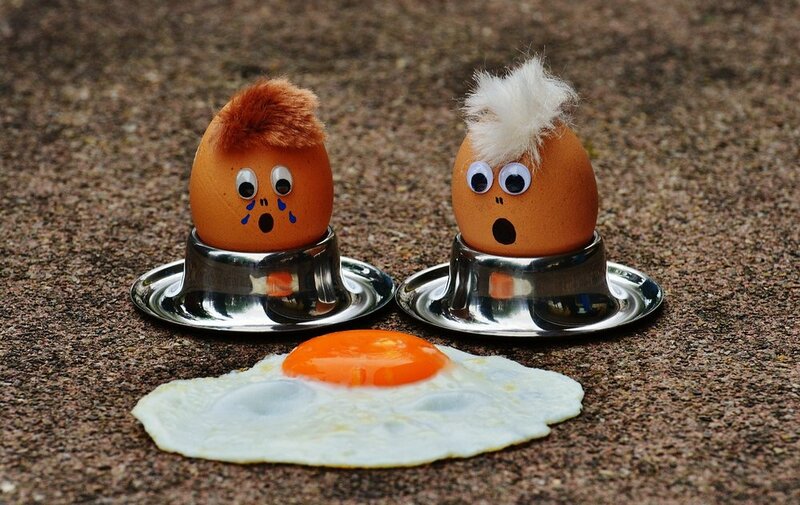 eggs, are a vital source of amino acids required to make our proteins. 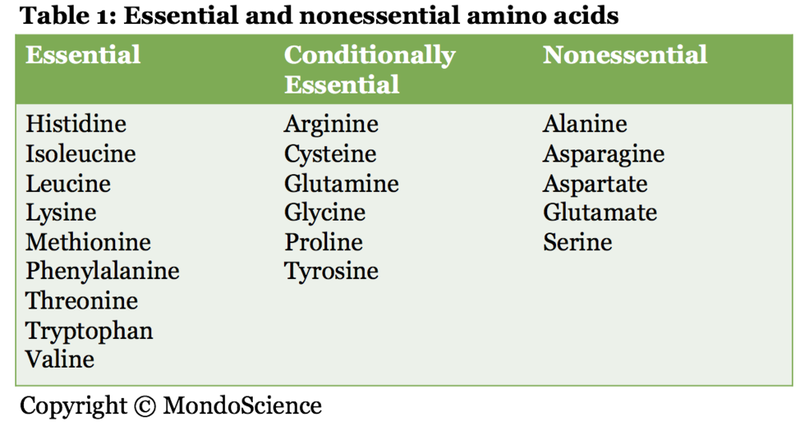 This is especially important as some amino acids are essential (see Table 1 below). Essential amino acids cannot be synthesised within our bodies, and therefore must be obtained from the diet. Other amino acids can be synthesised in the body, and so are termed non-essential amino acids. The conditionally essential amino acids are more relevant in the young rather than adults, as their growth requires these amino acids in higher amounts than produced in the body, for example arginine. Tyrosine, another conditionally essential amino acid, can be made in our body from phenylalanine, an essential amino acid. However, if phenylalanine is not available in the diet, then tyrosine becomes essential. So, now you know. Amino acids are the building blocks of proteins. The 20 common amino acids all have the same basic structure, and differ only in their R-groups. It is important for us to understand amino acids as every protein in our cells is made up of a unique sequence of amino acids, as determined by the genes in our DNA. Therefore, the structure, properties and biological activity of each protein will be determined by the chemical properties of its amino acids. What to know more? The best course to help you understand the key features of amino acids is Introduction to Biological Macromolecules. For those that want more advance knowledge, then everything you need and more is the Foundations in Biochemistry course.